The Fairway Drugs Rewards Club is our way of saying “Thank You” to our most loyal customers. As a Rewards Member you will accumulate points for every dollar you spend in the store which are returned directly to you in the form of Fairway Gift Cards. There are also exclusive benefits and rewards for Rewards Club members. Earn points for every dollar spent in the store, including prescriptions, gifts, beer, and everyday goods! 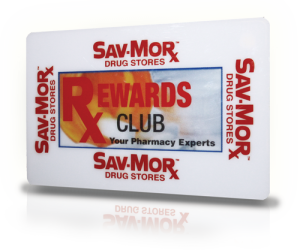 Rewards Club only specials, along with prescription benefits available through Sav-Mor! Use the My RepeatRewards website or download our mobile app to track your rewards wherever you are! 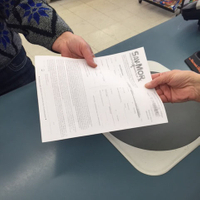 At the registers, cashiers can provide an application so that we can get your information and set your account up. Your cashier will be able to answer any questions you have about signing up, and will provide you with your Sav-Mor Rewards card once you have completed the application. Visit MyRepeatRewards.com to create a login using the number on the back of your Rewards Card as your member number. Save this login information, you will use it in the next step as well. Call or visit us today for any questions regarding our Reward Club.